Volkswagen has detailed the price and specs of its new flagship SUV, the Touareg, for Australia, revealing that its brand new large SUV will only be available in one variant until later in the year. The new Volkswagen Touareg goes on sale here in May, and replaces the almost nine-year-old model which bows out with three models and two engines, including the now-deleted 4.2-litre V8 turbo diesel. The 2019 VW Touareg Launch Edition will retail at $89,990 plus on-road costs and will be powered by a 190kW/600Nm version of its 3.0-litre V6 turbo diesel engine. Its 4Motion all-wheel-drive set-up is backed by a traditional eight-speed automatic transmission, while multiple on- and off-road drive modes - including descent control - are available via in-cabin dials. 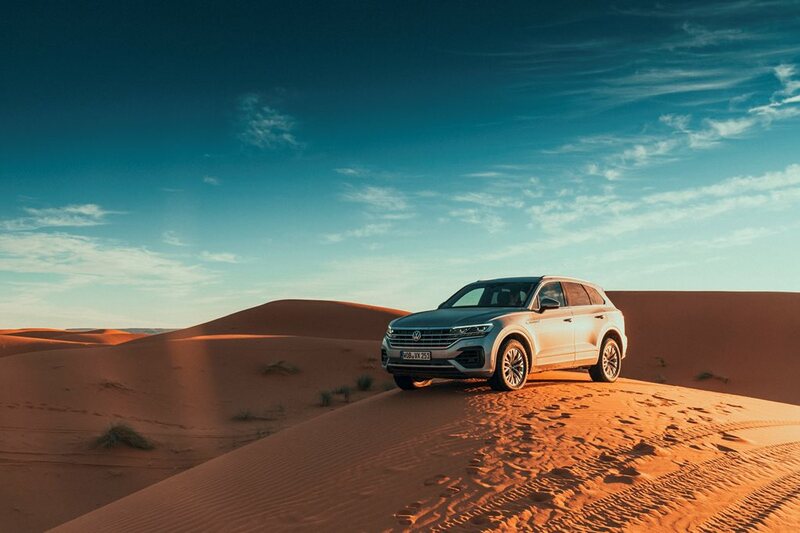 The Touareg’s chassis – known as the MLB platform - is shared with VW Group cars like the Audi Q7 Bentley Bentayga and Porsche Cayenne, and is equipped with adaptive air-sprung suspension, while 20-inch rims are standard fare. There’s also a powered rear tailgate, powered exterior mirrors, auto hill hold, keyless entry and start, high-grade leather trim and tinted glass aboard the Launch Edition. As well, Volkswagen reckons the single-spec Touareg tops the outgoing range for price and features. “It’ll come in with more power and more equipment, and at a better price, than the outgoing model,” said passenger vehicles product manager Glenn Reid. VW won’t be able to flesh out the Touareg line any further for at least six months, which the company says is a result of “homologation issues” with its 110TDI and 210TDI V6 diesels. The large five-seat, five-door SUV is uniquely positioned within the large SUV space. It’s priced beneath the entry-level versions of the BMW X5 and Audi’s Q7, it’s on par with top-specced mainstream competitors like Toyota’s LandCruiser Kakadu, and below other European entrants like the Volvo XC90. The Touareg Launch Edition comes very well equipped out of the box, with LED matrix headlights that can automatically dim several of 128 individual globes to reduce glare while maximising light spread. It’s a first for any Volkswagen. It’ll also come with a vast array of new-generation driver aids, including front cross-traffic assist, high- and low-speed autonomous braking, traffic jam assist and camera-controlled predictive pedestrian/cyclist detection. Seats will offer eight massage functions, as well as heating and venting elements that can be mixed and matched on the seat backs and base. Wireless phone charging, a 9.2-inch multimedia screen with Apple CarPlay and Android Auto and an analogue dash are all standard. There is the option to add a massive 15-inch display with gesture control and a customisable home screen that integrates with an Active Info Display digital dashboard and heads-up display system, as well as more ambient interior lighting. Known as the Innovision Package, it costs a not-inconsiderable $8000 extra. The only other option for the Volkswagen Touareg is a $3000 sunroof. Four colours will be offered at no extra cost, including white, black, blue and grey. “Spec for spec, it’s around $900 cheaper than the outgoing [V6 TDI] model,” said Reid. The all-new 2019 Volkswagen Touareg large SUV is luxurious, technologically advanced and a stunner on the road. Here are 18 more facts you need to know now.